> Mobile > Google AMP is coming to organic search results – Update! Google AMP is coming to organic search results – Update! Update: Google’s Rudy Galfi, Google’s lead product manager for AMP, has revealed to Greg Sterling from Search Engine Land that the global rollout of AMP in mobile organic search would be complete by the end of the year. In further remarks posted on SEL, Galfi clarified that having AMP enabled still wouldn’t affect ranking signals though. Six months ago, Google’s Accelerated Mobile Pages initiative was only available in the ‘Top Stories’ carousel of it search results. Then in August, Google announced that AMP support will be rolled out across the entire organic search results page. As you can see from the above, being AMP enabled doesn’t automatically make a page rank higher, in fact Galfi reiterated today that AMP is not a ranking signal. 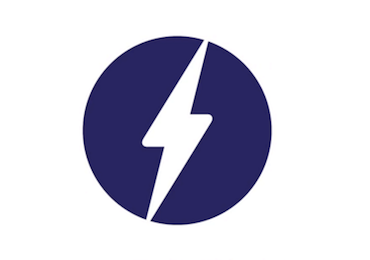 Google AMP is specifically designed to improve the mobile user experience offering stripped down versions of web pages that load instantly, have minimal navigation, are uncluttered with ads (for now) and require very little network power. Personally I now seek out pages with the little lightning symbol when I’m on my mobile… there’s just no other more satisfying way to find out the lyrics to Will Smith’s ‘Miami’ when on the move. Today’s confirmation is designed to be an early warning (much like its previous ‘head’s up’ regarding its mobile friendly algorithm change) before it rolls out the feature more broadly by the end of the year. Google developing a sense of humour there that can only be described as ‘dad-like’. To date there are more than 150 million AMP docs in Google’s index, with more than 4 million new ones being added every week. You still have time to implement AMP if you haven’t already, but you’d better get your lightning fast skates on! A version of this article was previously published in August 2016.